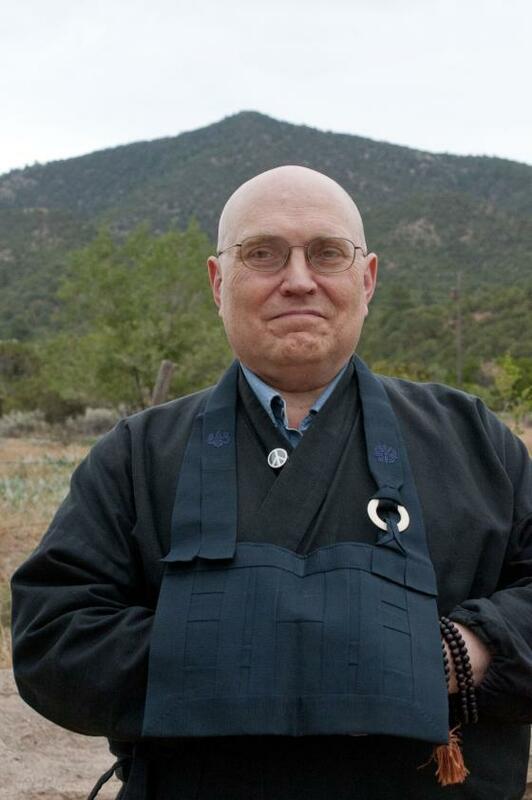 Taigen Dan Leighton is a Soto Zen priest and Dharma successor in the lineage of Shunryu Suzuki Roshi. Taigen first studied Buddhist art and culture in Japan in 1970, and began formal everyday zazen and Soto practice in 1975 at the New York Zen Center with Kando Nakajima Roshi. This led to his returning to graduate in East Asian Studies and study Japanese language at Columbia College. Through the 70s Taigen was also an award-winning documentary film editor in New York and San Francisco, including work for NBC News and Bill Moyers Journal. While editing TV news, it was necessary for Taigen to learn about the one who is not busy. Taigen left his filmmaking career in 1979 to work full time for the San Francisco Zen Center at the Tassajara Bakery and later Greens Restaurant, and he was ordained in 1986 by Reb Anderson Roshi. Taigen practiced and resided for years at San Francisco Zen Center, Tassajara monastery, and Green Gulch Farm Zen Center. Taigen was an elected member of the Board of San Francisco Zen Center, which he Chaired for three years. He also practiced for two years in Kyoto, Japan, 1990-92, translating Dogen with Rev. Shohaku Okumura, and practicing with several Japanese Soto Zen teachers, including one monastic practice period. Taigen has been active in many interfaith dialogue programs, including co-leading Buddhist-Christian dialogues, and he also has studied Native American spiritual practice. Taigen has long been active in various Engaged Buddhist programs for social justice, peace, and environmental activism. His activism goes back to his teens when he worked against the Vietnam War, including as a student at Columbia College in New York where he participated in the 1968 week-long building occupation and was arrested with 700 others. Since then he has continued speaking for peace and for climate justice. Taigen founded the Mountain Source Sangha meditation groups in Bolinas in 1994, then added branches in San Rafael and San Francisco. He received Dharma Transmission in 2000 from Tenshin Reb Anderson. Taigen is an authorized Kokusaifukyoshi (Official Foreign Representative) in the Japanese Soto school. Taigen is now a member of the Soto Zen Buddhist Association of American Soto Zen teachers, and the Association of Soto Zen Buddhists, teachers recognized by the Japanese Soto school. At the beginning of 2007 Taigen relocated to Chicago, and now is Guiding Dharma Teacher for Ancient Dragon Zen Gate. He lives with his wife on the north side of Chicago, and enjoys our city’s cosmopolitan opportunities. Through our lively sangha, Taigen works to develop accessible practice and training programs in the Chicago area. He is now focusing on developing Ancient Dragon practice and sangha leaders to lead Ancient Dragon Zen Gate into the next generation. Taigen teaches online at the Graduate Theological Union in Berkeley, from where he has a Ph.D., and where he has taught since 1994. He has also taught in the Bay Area at Saint Mary’s College, the California Institute of Integral Studies, University of San Francisco, and University of Creation Spirituality; in Japan at Kansai and Otani Universities; and in Chicago at Meadville Lombard Theological Seminary, and for four years at Loyola University Chicago. His classes have ranged from graduate seminars on sophisticated Zen and Buddhist topics to undergraduate classes in Comparative Religion and Introduction to Japanese Religion. Taigen is author of a number of books. 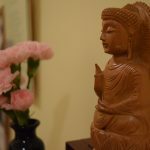 Faces of Compassion: Classic Bodhisattva Archetypes and Their Modern Expression surveys the bodhisattva figures and practices of Mahayana Buddhism that are the background culture of Zen practice. Visions of Awakening Space and Time: Dogen and the Lotus Sutra explores the dynamic worldview of 13th century Japanese Soto Zen founder Dogen, and how it is grounded in the stories of the pivotal Lotus Sutra. Just This Is It: Dongshan and the Practice of Suchness discusses stories from Dongshan, colorful 9th century Chinese founder of the Caodong/Soto lineage, and how they demonstrate the underlying dialectical philosophy of Zen. Zen Questions: Zazen, Dogen, and the Spirit of Creative Inquiry includes a range of Taigen’s essays including discussions of the meaning and function of zazen, commentaries on a range of Dogen’s writings, considerations of spiritual poets such as Gary Snyder and Bob Dylan, and Zen perspectives on modern issues such as patriotism, climate change, and right livelihood. Taigen is co-translator and editor of several primary Zen texts. These include Dogen’s Extensive Record, a massive and monumental compilation of Dogen’s writing, one of his two major works, translated together with Shohaku Okumura. Cultivating the Empty Field: The Silent Illumination of Zen Master Hongzhi is a selection of poetic and evocative practice instructions from one of Dogen’s major influences, from 12th century China, inspirational with much nature imagery. The Wholehearted Way: A Translation of Dogen’s “Bendowa” with Commentary is Dogen’s first major work on the meaning of zazen, his proclamation of the power and pervasion of practice. Dogen’s Pure Standards for the Zen Community: A Translation of “Eihei Shingi” is Dogen’s work on monastic practice guidelines, surprisingly relevant to everyday practice in the modern world. Taigen has also contributed articles to a great many journals and other books, for example A Buddhist Response to the Climate Emergency. Please consider donating to Ancient Dragon Zen Gate, we rely on your generous contributions. Thank you for your interest in Ancient Dragon Zen Gate! Your participation enables us to bring the wholehearted Zen practice of Suzuki Roshi and Dogen Zenji to Chicago, the Midwest and beyond!